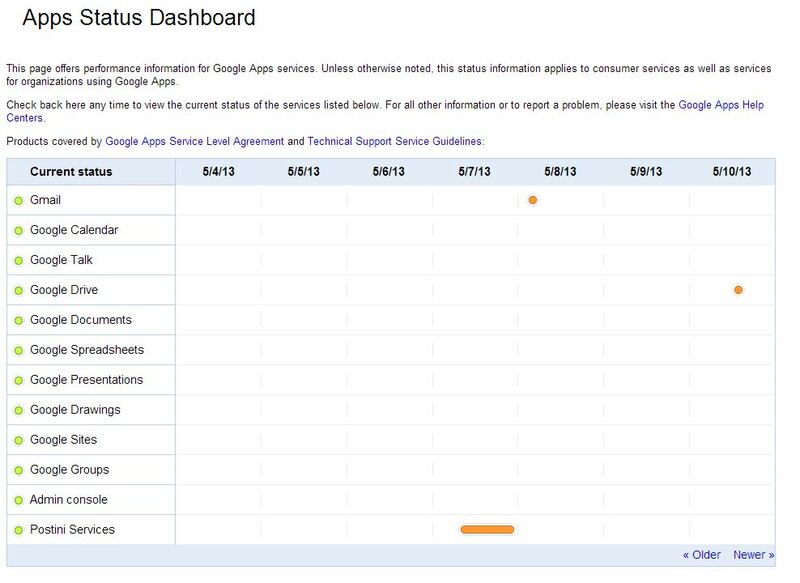 The Google Apps Status Dashboard offers performance information for Google Apps services. Viewing this webpage will let you know if any Google Apps services have no issues, service disruption, or service outage. Classroom Integration: Having access to the Google Apps dashboard will allow your school, teachers, and students the ability to determine if any app service is interrupted or down. Next time your students are concerned because Google Drive is slow or unable to see all save docs, you or your students can visit this site to see if their is a service disruption.